Blizzard is looking for nominations for the StarCraft II Community Choice Awards, and is asking everyone to head over to Reddit to upvote nominees for categories such as 2013 Game of the Year, 2013 Global StarCraft II Player of the Year, and WCS Korea Player of the Year. To find the Reddit posts for each of the categories, head over here, and promote your favorite nominees! 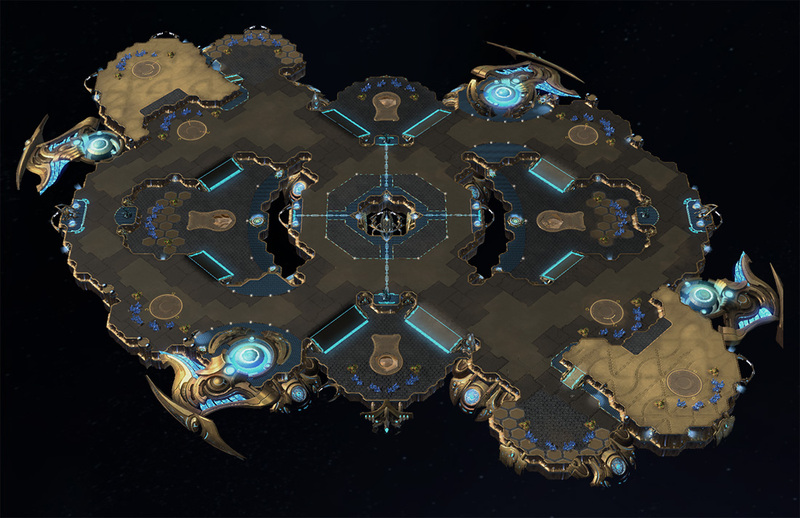 The upcoming StarCraft II patch, patch 2.1, is active on the Public Test Realm. The features included in this patch are: extension mods, clan and group additions, the classic StarCraft soundtrack, and the afk lobby host kicker. To see the full explanation of each feature, click here. You can access the Public Test Realm via the Battle.net Desktop App. In the app, you can select StarCraft II and change the region to "PTR: Heart of the Swarm", after which there will be small installation. After the install is complete, you can start up StarCraft II and log in to the Public Test Realm. To change back to the current version of StarCraft II, simply change the region back to what you had originally in the Desktop App. To give feedback, visit the PTR Discussion forum. Season 6 is just around the corner, and Blizzard has shown us a peek at which maps will be added to the map pool, and which ones will be removed. For the full post including map pools for 2v2, 3v3, and 4v4, click here. In preparation for the upcoming patch 2.1, Blizzard is planning to open up the Public Test Realm to allow players to test all the changes and improvements. Soon after BlizzCon ends, anyone with the Battle.net Desktop App and StarCraft II will receive access into the Public Test Realm. Once on the PTR, players will be able to see all the changes that will come with patch 2.1 and be able to send feedback through the Open Beta forum. More information on how to access and use the PTR will come after BlizzCon, so keep your eyes peeled. The Tunneling Claws upgrade now increases burrowed Roach movement speed from 1.41 to 2.25. For the reasoning behind these changes, check out this thread. The test map which includes these changes will be out shortly. Meanwhile, check out the reasoning behind these changes here and here. September has rolled in again, which means the beginning of school, the fall season, and a StarCraft II back-to-school event! To celebrate the return of school, Blizzard is giving a 50% discount on purchases of Wings of Liberty, and 25% discounts on purchases of Heart of the Swarm. Not only that, but from September 23 to 30, players can obtain a new Feat of Strength, "You Got Schooled", which unlocks three new portraits for StarCraft II. The Feat of Strength can be achieved by winning five games of Arcade, Custom, Ranked, Training, Unranked, or Versus A.I. online game modes in any combination or order. This, coupled with the fact that XP gain has been doubled until September 30, is a great reason to hop on StarCraft II this week and play your heart out. If you want to play with friends that don't have full versions of StarCraft II, good news: up to September 30, all three races are unlocked and playable by StarCraft II: Starter Edition players. It's a great time to introduce friends to the game and get them into the StarCraft community. Remember, all of these events are only active until September 30, so don't delay in getting your back to school portraits! StarCraft: Subjection, a fully-voiced, eight-part singleplayer campaign for StarCraft II which was released a few months ago, is on the most recent Arcade Highlight! Traysent: How long did it take to complete Subjection? How many people worked on the campaign and what roles did they have? Gradius: Subjection took roughly three years to complete, working on and off. The campaign has four difficulty levels, is fully voice-acted, and is daunting in scale and quality. You can find it on StarCraft II by searching "Subjection" on North American Battle.net. The previously-announced James Raynor Sixth Scale Figure is now available for preorder! Standing fifteen inches tall, the figure comes with Raynor's gauss rifle, sniper rifle, and revolver. To see the figure in more detail, check out this page, where you can "Test Drive" the figure and see all of the moveable parts and lights. This extremely-detailed figure can be preordered from this page for $499.99 USD, but there's also a giveaway happening. Head over to this page to enter in the giveaway to win your very own Raynor Sixth Scale Figure. Sideshow - Raynor's Back in Business! Sideshow - Test Drive the Terran Space Marine Sixth Scale Figure!